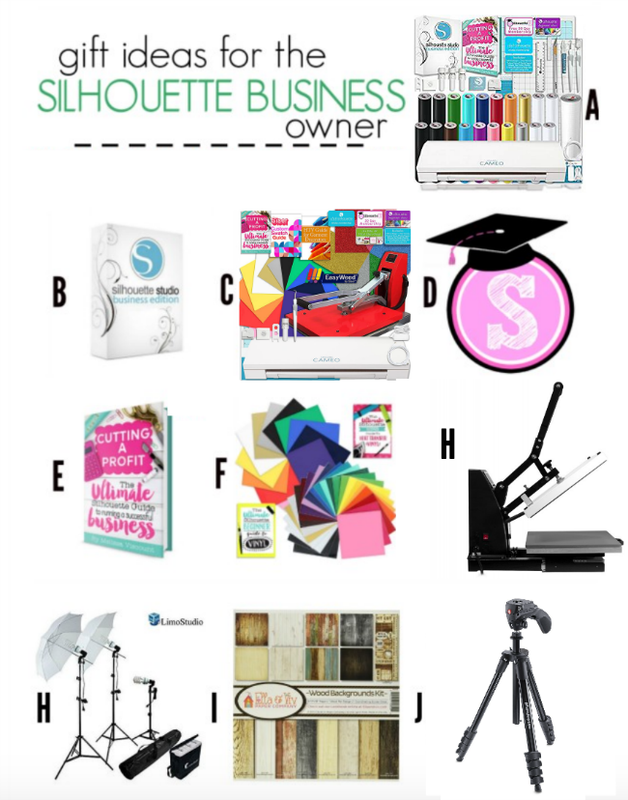 Every year before the holidays we put out a Silhouette gift guide. Some of you have called me an enabler....I prefer helper. 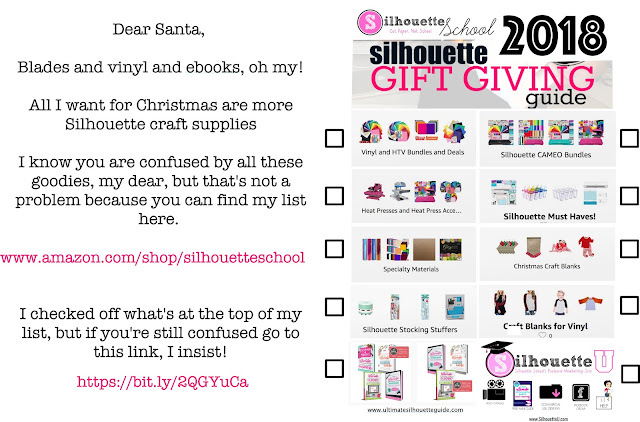 I'm helping him (or her)...get you the exact craft supplies you want for Christmas. 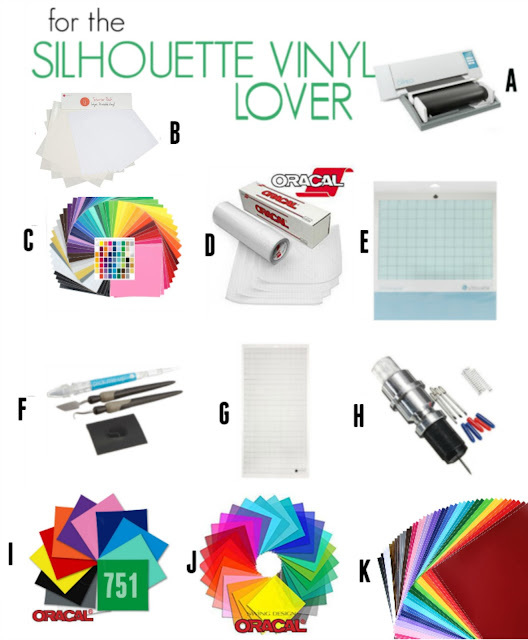 We've done all the work for you thanks to years of testing craft products, the best Silhouette CAMEO bundles, and Silhouette supplies and accessories..and even some little known, but must-have craft gadgets. 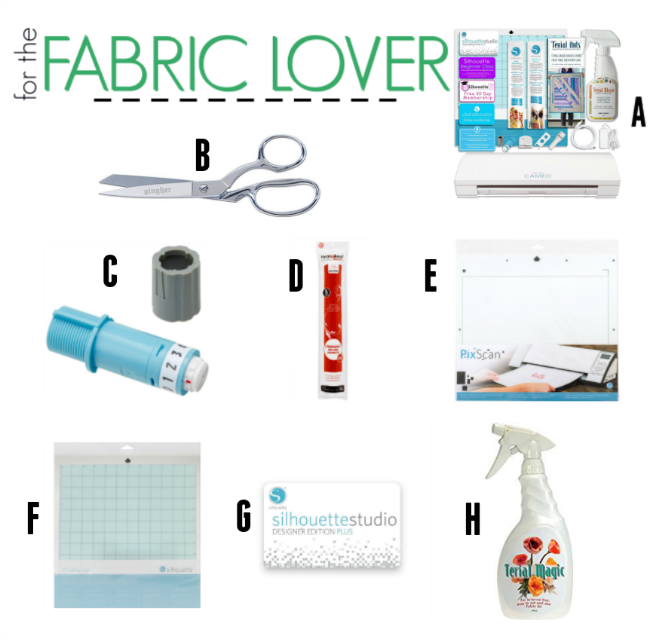 We've put together the best picks for the crafty cutter no matter what you're looking for. 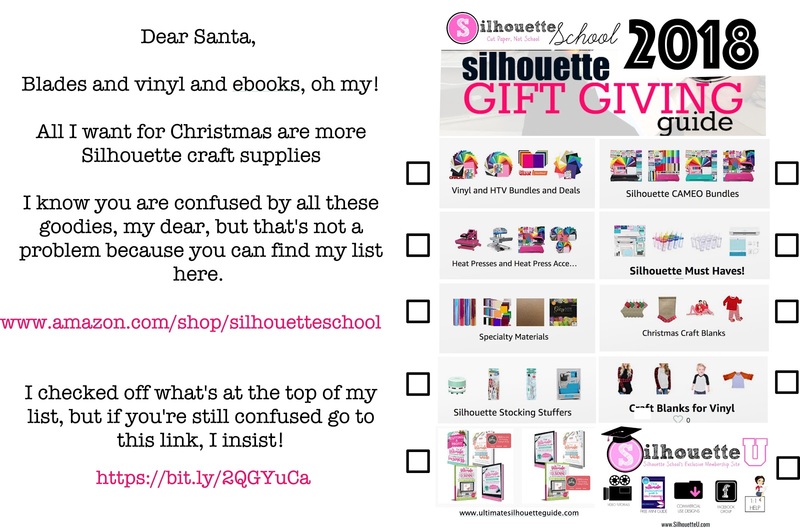 So if you're the crafter, feel free print out the Dear Santa note below (just click the image then go to File > Print), check off your favorites, and leave it in a convenient spot. 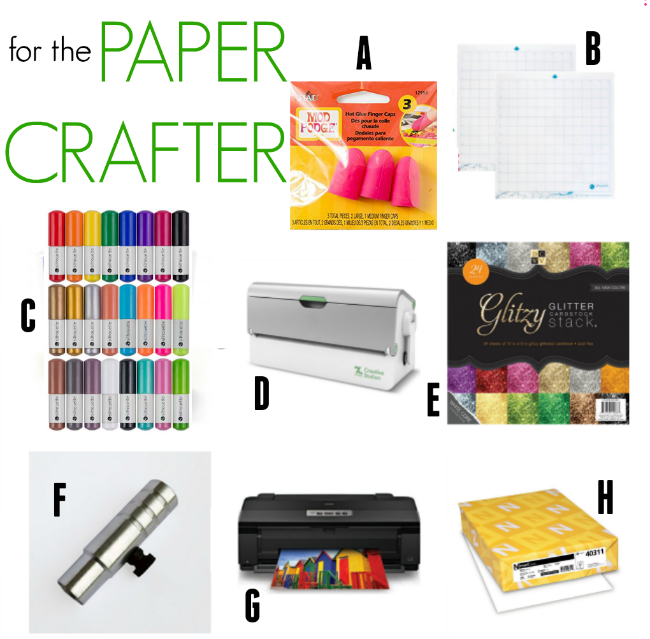 Or if you're the shopper for the crafter, just know you can't go wrong shopping here and/or off our best craft gadgets list. 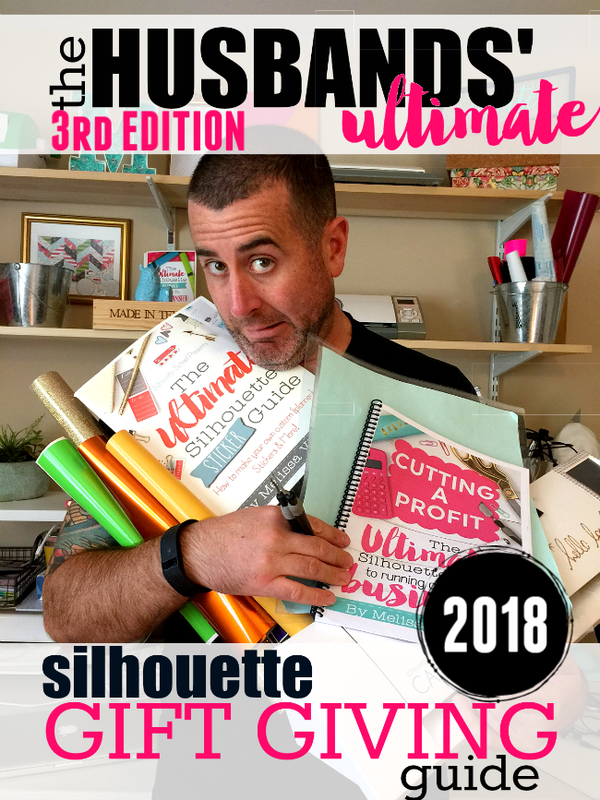 Some of the items on the 2018 Silhouette Crafter Gift Guide are back again for a second (or third) year (they're that good!) and some are making their first appearance. So go ahead...browse a little and let me make your holiday shopping easy! Find these bundles on Swing Design through the links below. Swing Design offers free shipping over $35 and 0% financing for three months. 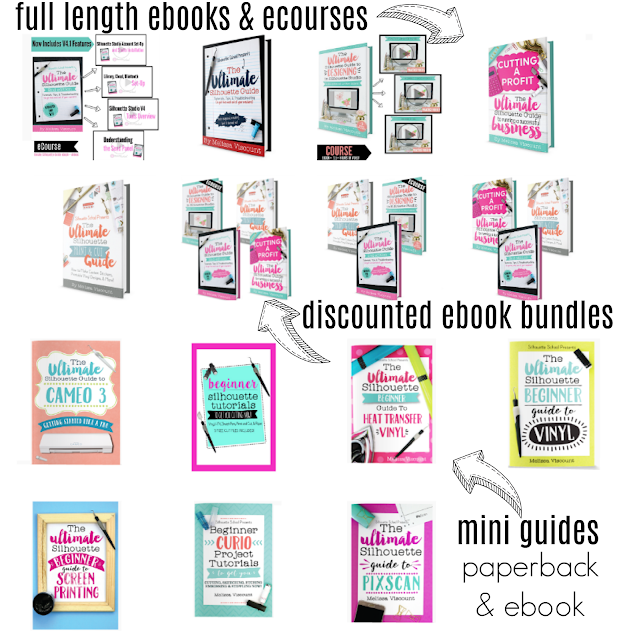 Find these same bundles on Amazon with fast(er) shipping. 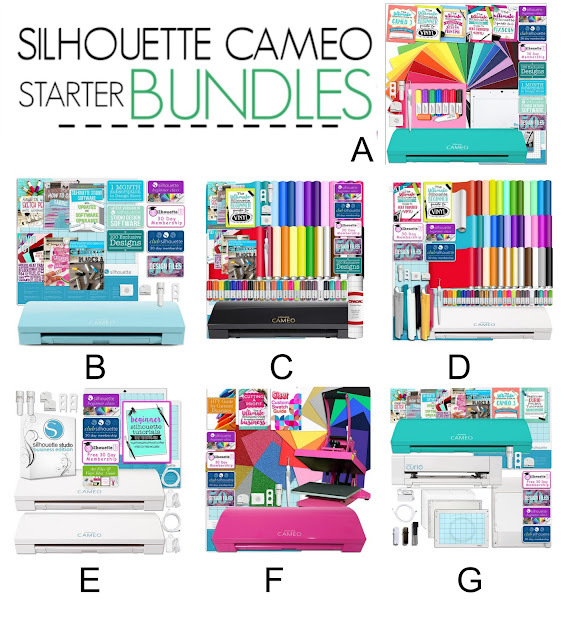 Most CAMEO bundles are available in various machine color options. 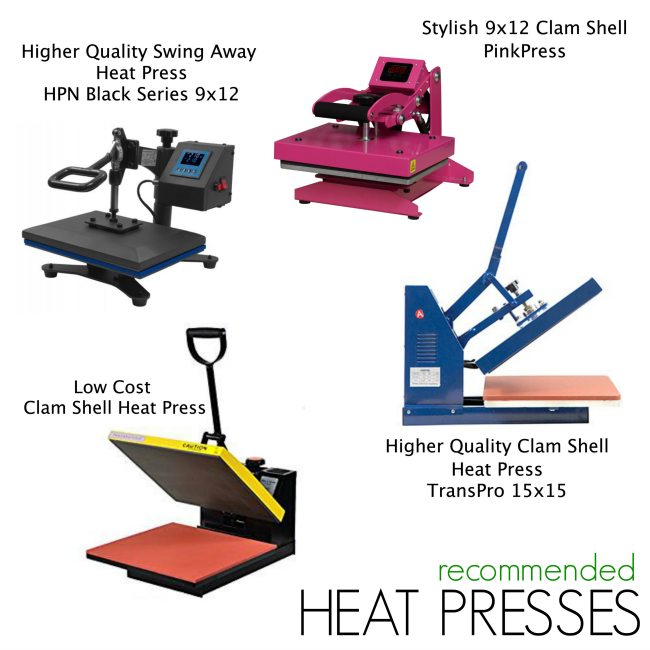 Just a note: I own and have used all of these heat presses with the exception of the Pink Press (just too cute not to include!) You can find more information on the best heat presses on Silhouette School Blog. *Don't have a room for a heat press? The Circut EasyPress is a good alternative. 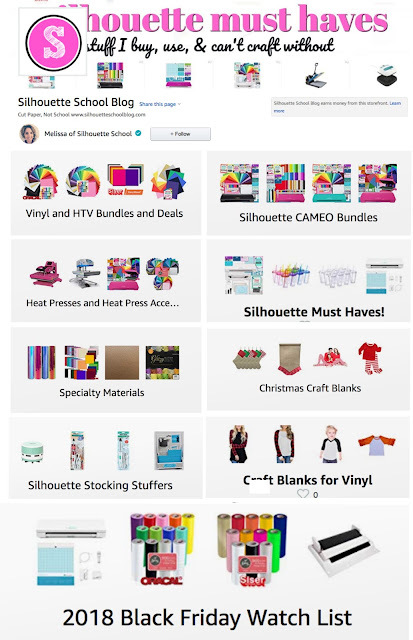 To shop all of our top picks, deals we've found, and more must-have Silhouette accessories, head over to Silhouette School's Amazon Wish List! 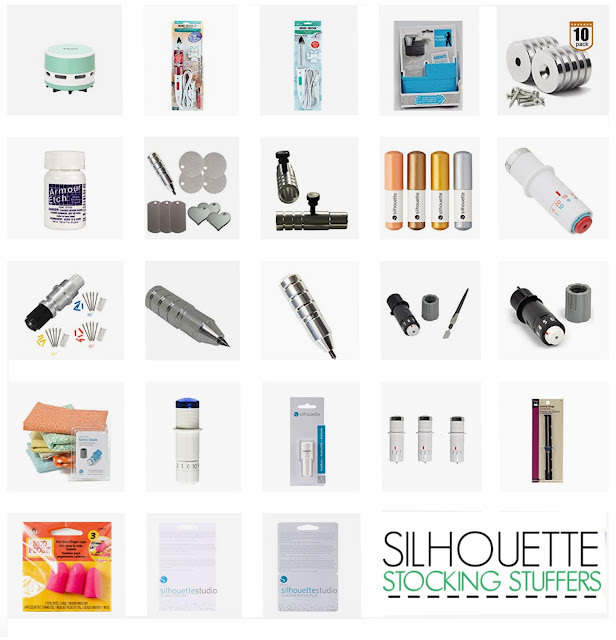 We've broken it all down into easy to browse and shop categories for you!